Maximum Performance is a physical therapy and fitness center located in Manhattan, KS. They have been active in the community and recently went through a rebranding process. S&N Design created a new identification for Maximum Performance, using strong, bright colors, yet staying true to their original identification mark and colors. 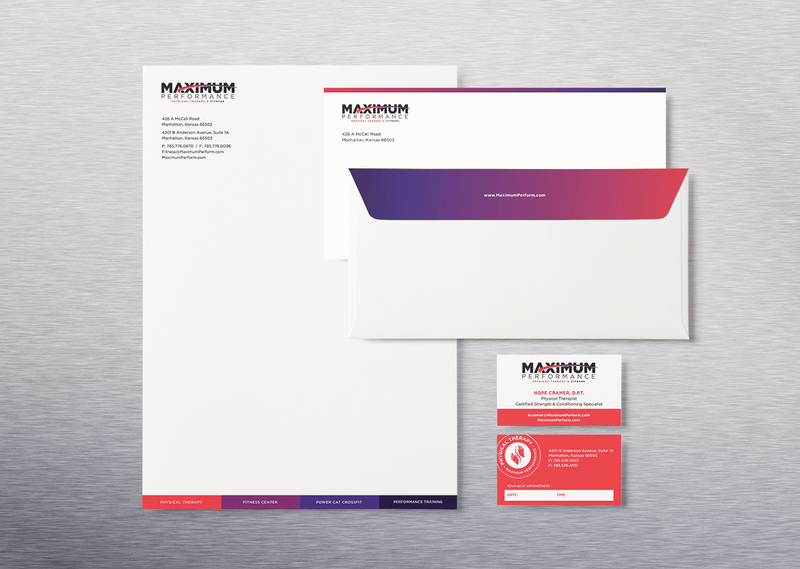 S&N Design also created business cards, stationery, and marketing materials to help cross promote all of the services Maximum Performance offers. S&N Design created a website for Maximum Performance that showcases their four main services—Physical Therapy, Fitness Center, Power Cat Crossfit and Performance Training. A secondary logo was created for each individual group that coordinates with the main brand.